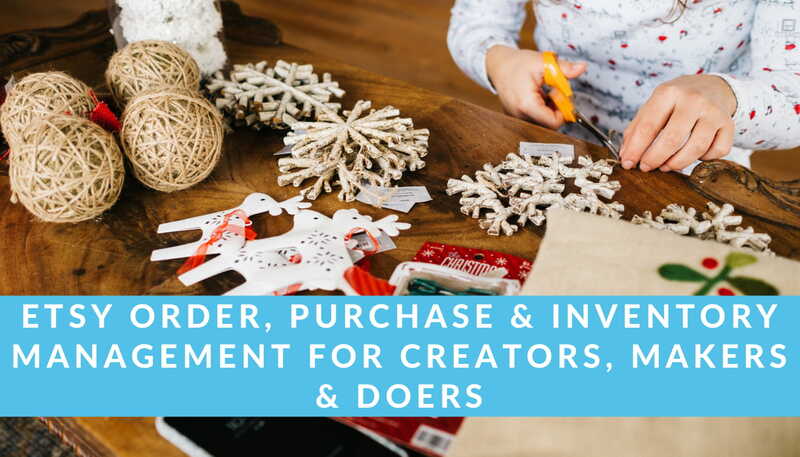 As a creative entrepreneur, there are various ways to get a handle on managing the orders, purchases, and inventory of your hand-made goods. Some involve re-looking your business processes and workflows. Other use hardware and software technology. Nonetheless, you shouldn’t waste precious time to build your own solution when ready-made software is available. We’ll show you how EMERGE App — a user-friendly, cloud-based inventory management solution — helps you run your creative business to sell better and faster on Etsy. These include managing your products, raw materials, sales orders, and simple production schedules. The best way to illustrate how EMERGE App helps you is to start with an example. Let’s say that you’re a champion quilter. You’ve won all the state awards and moved on to make a clean sweep of national trophies as well. You’re in top form, at the top of your game, and you think there’s really nothing more to conquer as the nation’s top quilter. But then you open an Etsy store. Suddenly, you realize that you need to pick up and learn a lot of skills outside of quilting. You perform your best when you’re in the zone producing an award-winning quilt. But running a small online business requires all the time-saving tools and workflows you can get to keep your business humming while you focus on production. At a recent get-together, your fellow quilters and Etsy shopkeepers recommended that you try EMERGE App. They gushed about its user-friendly and sensible workflow that gets out of the way to let you focus on what you do best. Best of all it comes with a free account to try it out first. 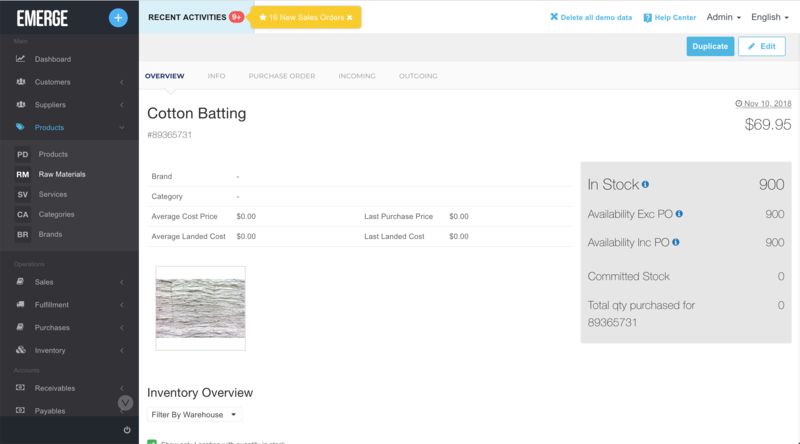 Firstly, why should you consider a third-party inventory management system outside of Etsy? Isn’t it easier to use something built-in to avoid the hassle of working with another piece of software? Well, yes and no. Depending on your needs, you’re likely to quickly outgrow any built-in inventory management features in Etsy. 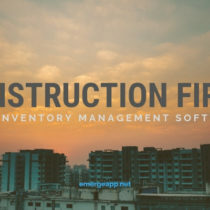 EMERGE App is a pure, inventory management only solution. Our focus on managing your stock and making your life simpler means that we’re constantly adding new features (and fixing old bugs). EMERGE App shows inventory stock count in three different ways at the product overview screen. This helps you make decisions about sales forecasts, stock levels, and stock re-ordering. Firstly, the in-stock figure is the quantity that you have in your warehouse. But part of it may have been committed to other sales orders. 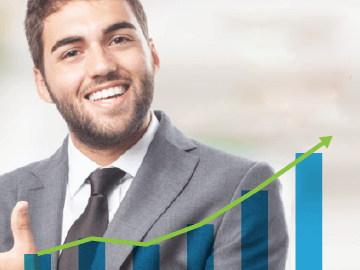 So it’s usually not a reliable quantity of how many new sales you can fulfill. Secondly, the available quantity is the balance quantity available for your upcoming sales. When you create a new sales order for, say, floral quilts, the quantity sold is deducted from available inventory as it is committed stock. Hence, the available quantity (excluding purchase orders) leaves out sales orders that have not yet been delivered. You may want to decide if you can commit to new sales orders. Check to see if there is sufficient stock to fulfill these orders new stocks are produced. When you issue shipment and finally deliver the goods, the quantity will be deducted from inventory in stock. Now, to replenish your inventory of quilting thread, you need to issue production orders. The finished quantity will be added to your available inventory that includes purchase orders. Once the new stock is produced and you receive it at your warehouse, the quantity will be added to your in-stock quantity. Other ways that you can exercise control over your inventory include doing a manual stock adjustment due to damaged goods. This will affect both the in-stock and available quantity in your inventory. 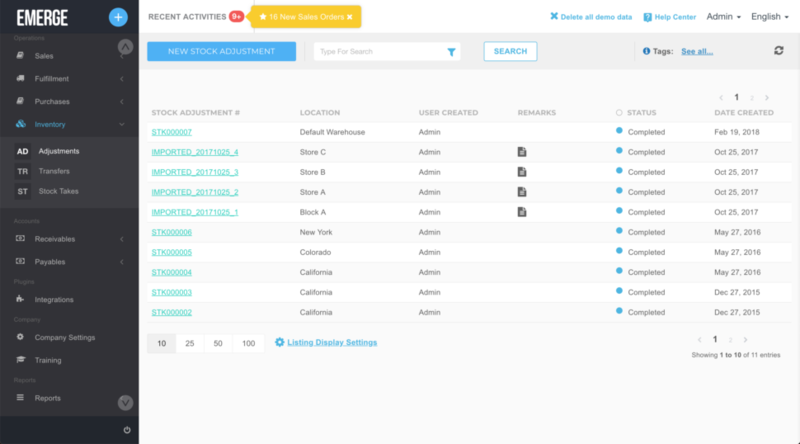 Or sometimes you may want to transfer stock from one location to another, especially if you have many warehouses. A stock transfer will adjust the in-stock and available quantity at both the source and destination stock locations. For a stock take, a physical count is done for a product at your warehouse location. Here, the stock count for thread spools includes the in-stock quantity, sales orders that have not been delivered and the available inventory, excluding any purchase orders. To get started with EMERGE App, you first need to import your products from Etsy. We have an awesome step-by-step guide here but here’s a quick summary. Find the Etsy integration module in EMERGE App. Connect to Etsy with your account and allow access for EMERGE App. Select some or all products that you wish to import and then click the import button. 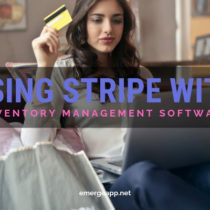 Alternatively, if you have products stored as data elsewhere, you can easily import them into EMERGE App with the help of a spreadsheet file. Simply export the products as a text file from your legacy software and copy-and-paste the data into our spreadsheet template. 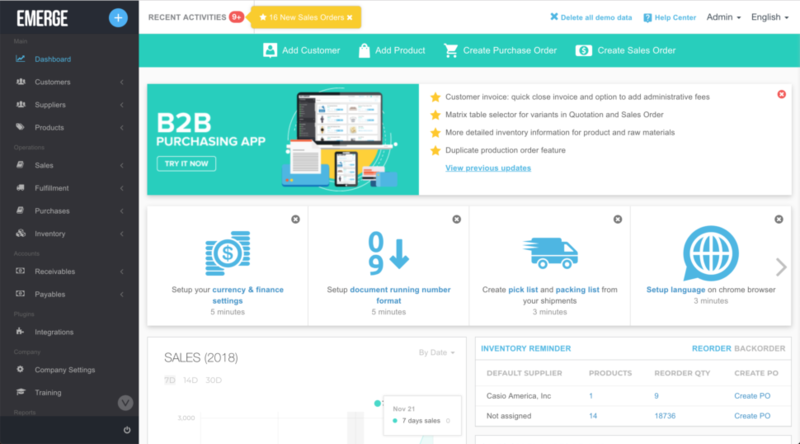 In EMERGE App, go to the Products module and click on Import Product. Once you’ve imported your products, you can deal with them and scale up your operations if you have other sales channels besides Etsy. 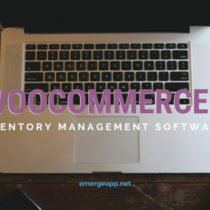 As a creative entrepreneur, you may have stores at eBay or Shopify, or e-commerce sites powered by WooCommerce and Magento. Export your products to these channels using our e-commerce integration modules in EMERGE App. As a maker and doer, you also deal with raw materials that help you produce your finished goods. You may have been comfortable in the past with ad hoc production schedules that suit your time and mood! But when you scale up and start selling in volume at Etsy, you may need to upgrade to a semi-automated workflow that keeps you in control. Regardless of the products that you’re selling, you need to create the raw materials that go into your product. Add all the raw materials that you need with the Raw Materials module in EMERGE App. Enter the purchase price, stock on hand, initial cost price and the base unit of measurement. Next, here’s the fun part. Visit the Products module to set up raw materials for your products. Select the raw material checkbox. Then add the raw materials that you need to make the finished product along with their required quantity. 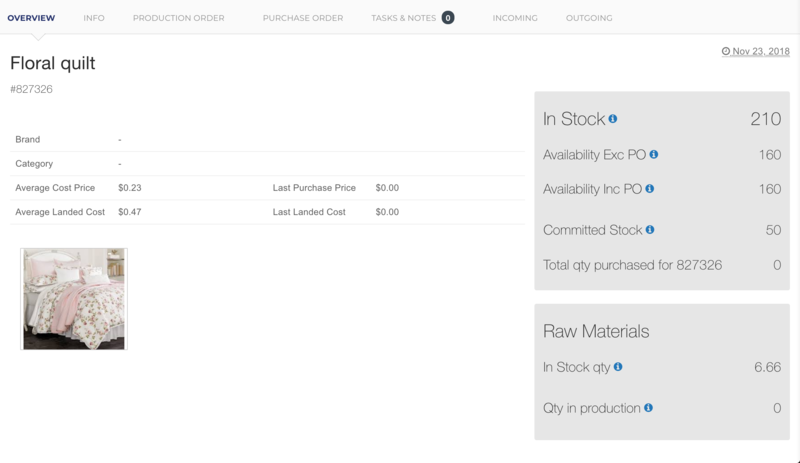 At the product screen, click on the Produce from Raw Materials button to begin production. Select the production end date. Enter the cost price per unit and production expense per unit. Production expenses are added to the cost price per unit. This sum is used to calculate the finished product cost and the average cost price of the finished product inventory. Finally, choose the warehouse location to store the final products and the finished product quantity. Click Produce to manufacture the finished products. The finished product quantity will be stored in the selected location. And the stock of raw materials for the product will be deducted during production. Here, we’ve come to the core sales workflow of your business. And one that will either sink or support your Etsy business depending on how you approach this critical part. With EMERGE App you get the flexibility of importing your orders from Etsy, and other sales channels that you might have, and then deal with them seamlessly with our proven workflow. It takes just a few click to import your Etsy store orders into EMERGE App. This saves you time and effort in entering your sales order again. And you avoid human-led mistakes in the process! Connect to your Etsy account and allow access for EMERGE App. Then select the Etsy orders to import into EMERGE App. 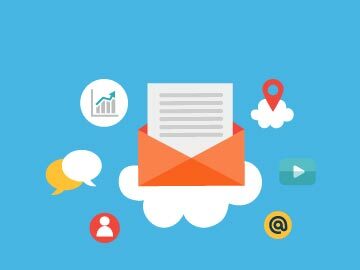 Or if you have brick-and-mortar sales channels, like a weekend kiosk or a pop-up store, we’ll show you how to create sales orders from scratch. 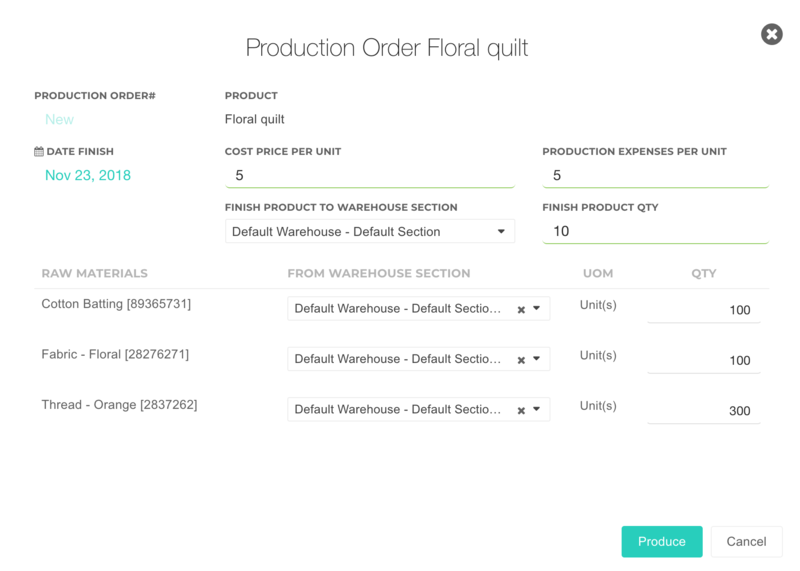 To start, just go to the Sales Orders module and click on the New Sales Order button. We know you’re really busy so orders can be created with just two fields: the customer and the items sold. Once you’re ready to ship the order, click on the Shipment button and then Pack All Standard Items. This automatically creates a shipment as well as a delivery order document. When your customer finally receives their order, click on the Deliver button in the delivery order to update your in-stock inventory. Remember this from our inventory management overview earlier? 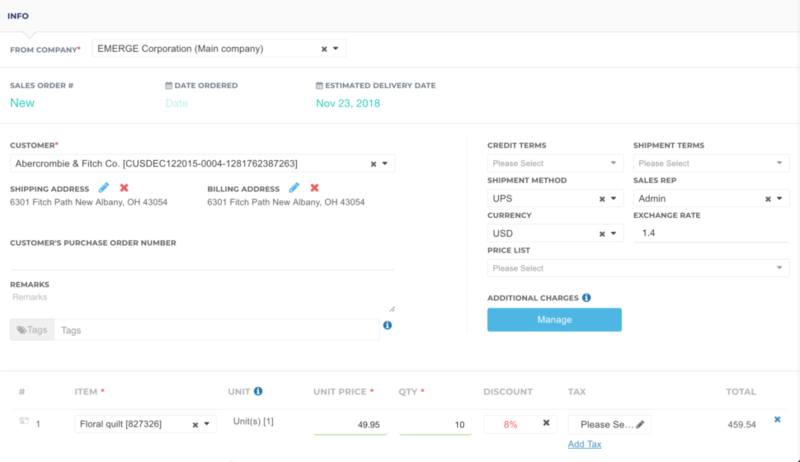 To issue an invoice to your customer, click on the Invoice button and then select invoice everything. This automatically generates an invoice under Receivables in the main menu. When your customer pays you, click on the Receive Payment button to mark the invoice as being paid. As a maker and doer, running a small business is hard work. Frankly, you’d rather focus on producing beautiful things than to be mired in electronic paperwork and spreadsheets. That’s why you’re selling on Etsy. And that’s why you need EMERGE App to handle all your inventory management needs. Streamline your sales and production workflow, and spend more time on the things that truly matter.